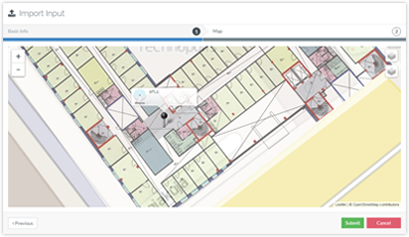 This post will guide you through the whole process after you’ve received your Kontakt.io beacons. We’ll look into Kontakt.io registration and finally importing the beacon fleet using Proximi.io Web Portal. If you haven’t ordered any Kontakt.io beacons yet, you can do that using the Kontakt.io Store: https://store.kontakt.io/. Proximi.io supports all the Kontakt.io beacon models. Double check your data to make sure you’ve got the right email and hit the CREATE ACCOUNT button. Check your inbox and click on the activation link—your account is created! You can also sign up using your Google+, Facebook, or GitHub account. After you’ve registered and logged in, go to devices section and click “Add devices” button. Please note that you need your Kontakt.io order id for adding the beacons under your account. You can find the order id from the order confirmation email and it’s also printed on the green paper sheet that was with the beacon delivery (within one of the boxes if you ordered more than one box of beacons). 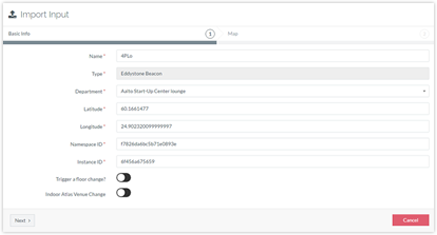 As your beacons arrive, they already have some pre-configured settings. After you’ve added the beacons under your Kontakt.io account, you can see what those settings are, change their broadcasting values etc. 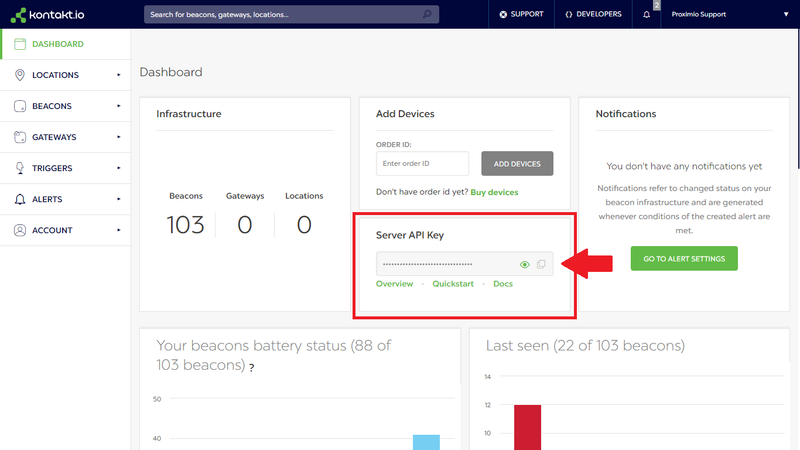 When you change any of the settings at the Kontakt.io web portal, they’re applied to the beacons when you login to your Kontakt.io mobile management app (given that you’re nearby the beacons). After you’ve confirmed that you have all your beacons added under your Kontakt.io account, you can proceed and import the beacon fleet to your Proximi.io account. You need the Kontakt.io API key to perform the import. You can obtain the API key from the main dashboard of your Kontakt.io portal. Copy to clipboard. Login to the Proximi.io Web Portal and head down to the Manage Inputs -> Import Inputs section. Paste your Kontakt.io API key to the field and click “Connect”. If you’re experiencing any issues or have questions regarding the Kontakt.io beacon import, please contact our support and we’ll help you out.